Confirmed Payment Pure Vermont Fancy Grade Maple Syrup ** bander7003 for 55 ** - The BBQ BRETHREN FORUMS. 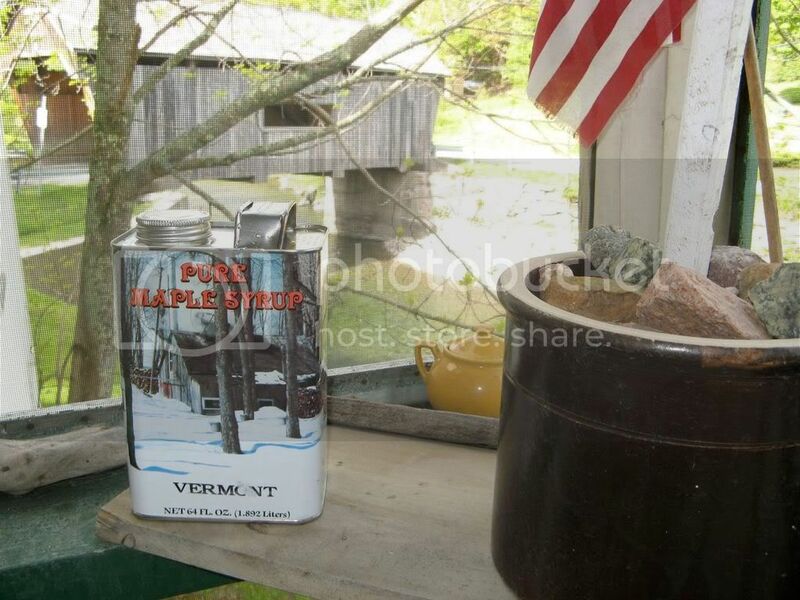 Another 1/2 Gallon of 2008 Pure Vermont Maple Syrup from the Vasseur Brothers of Bragg Hill in Fayston, Vermont. The best we have found. We have been buying our syrup from them for 31 years. According to Spike Vasseur, 2008 was an exceptionally flavorful, but short season. "The Indians called it 'Sinzibukwud'. "The Indians taught the first white settlers how to tap maple trees in the spring, then evaporate the sweet sap until it became maple syrup. In Ben Franklin's time, plans were afoot to make America self-sufficient in sugar production by using maple sugar." Shipping included in the $20 minimum bid price. I have not had "real" syrup from that area in years! Kapn I have to do $35.00! Wait a minute---I really miss real syrup---and it is a good cause---$40 and that is it for me! You can't go wrong with this syrup. 2008 really was a vintage year and this particular Sugarbush has won awards over the years for their quality. Mr Bo has the first half gallon on the way to him in Arizona and will be able to give his opinion when it arrives in a few days. This syrup just sounds too good. I have to go $50. Jim does the syrup have a grade? Julie. The grade is "Vermont Fancy" which is the most coveted grade around here by people in the know. Fancy is great on pancakes, waffles and ice cream. What is special about this 2008 crop is how flavorful it is. There is a misconception that the lower grades have a better flavor. Stronger does not equal better. Here is how syrup is graded in Vermont. Anything titled "fancy" ought to be worth at least $55. I'll go $55. My jug arrived yesterday and I can say, "That's some good stuff ya'll!" Mrs. Bo whipped up some pancakes for breakfast this morning and I got to try it on them. You should have received payment on this yesterday. I will get this out as soon as I get a shipping address. Please PM it to me. Mr. Bo, Very happy it got there in good shape and especially glad you are enjoying it. Thanks for the nice words. Shipped this baby out this morning (Thursday) USPS Priority. Hope it gets there fast and in good shape.